Former Arsenal defender Emmanuel Eboue joined the club fans in Tokyo, Japan to celebrate the Supports’ Club’s 15 year anniversary. The Ivorian honoured the invitation of the fans to celebrate their anniversary, leaving them excited. The 34-year old former Premier League star spent seven years at the club under Arsene Wenger before he left in 2011. Eboue was part of the defence that kept clean sheets on their way to the famous 2006 Champions League final against Barcelona. He moved to Turkey where he plied his trade at Galatasaray until his contract was up in 2015. He played briefly at Sunderland amid career issues but he is currently with Turk Ocagi Limasol for the season. Eboue was very free with himself as he partook in the planned programmes by the Japanese supports’ club. Media outlets interviewed him and he took part in several excursions as the organizers wished. He was available for a meet and greet event with the supporters. The player has faced several personal issues ranging from payment dispute with his former agent to a year FIFA ban from football. He also admitted suffering depression and poorly managing expectations as his career slowed. When the issues seem like they were about to end as talks with the Northern Cypriot side entered advanced stages, reports of abnormal values came up. The experienced defender was subject of rumours of having contracting HIV. 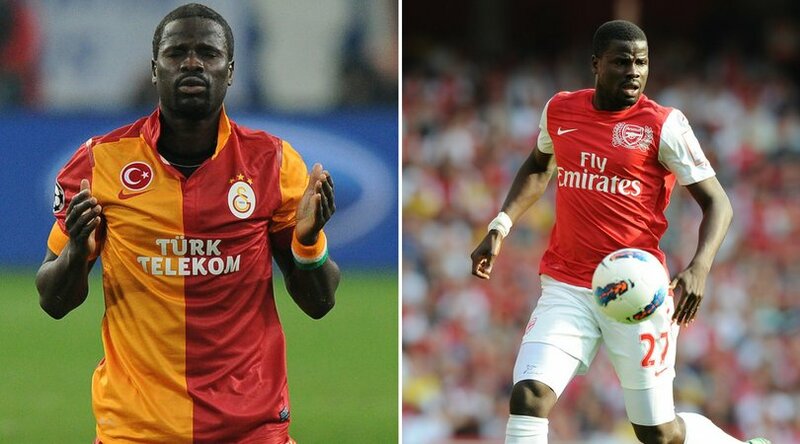 Eboue searched for a club for long as he worked on his fitness in Hungary. Turkish media firms claimed the African soccer star was infected with the virus so the club were hesitant on continuing talks with the aging player. However, he was sent to England for medical check-up and things became cleared up.